Having a beautiful condominium apartment that they can call their own is a dream that most Singaporean couples have. However, achieving such a goal is no simple feat, especially in a competitive housing market where even a modest two-room unit commands a hefty price tag. Add to the fact that private property prices are constantly on the rise in Singapore, and it is no wonder that most newlyweds opt for a HDB flat as their first home. Nonetheless, an affordable apartment does not necessarily equate to an unstylish one. 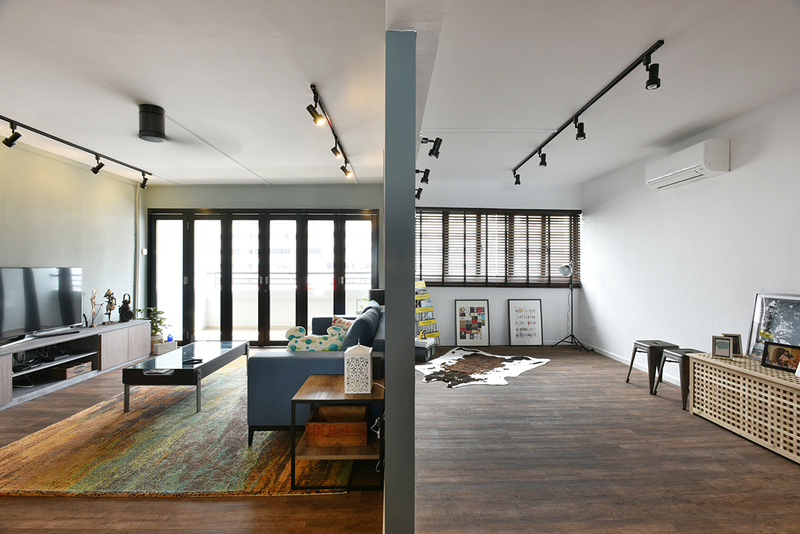 Here are 5 stunning HDB flats that will you give you pause and, hopefully, inspire your next interior makeover. 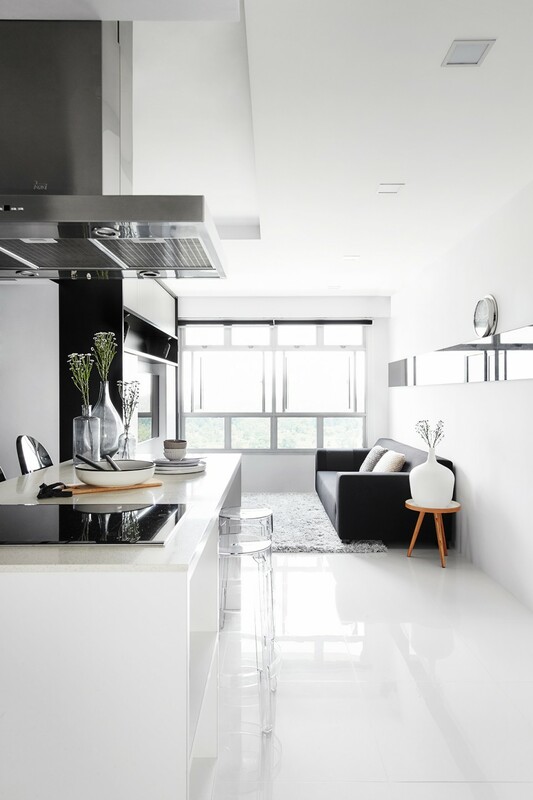 Sporting a distinctive monochrome colour scheme, the interior of this 4-room HDB unit is accompanied by classy furnishings and well-coordinated fittings that give it an immaculate look. To add some warmth to the living room, a shaggy grey rug was introduced as a contrast to the gleaming white floor. Light and dark woods play an important role in creating the look of this 5-room BTO unit that shows off an industrial-style interior. 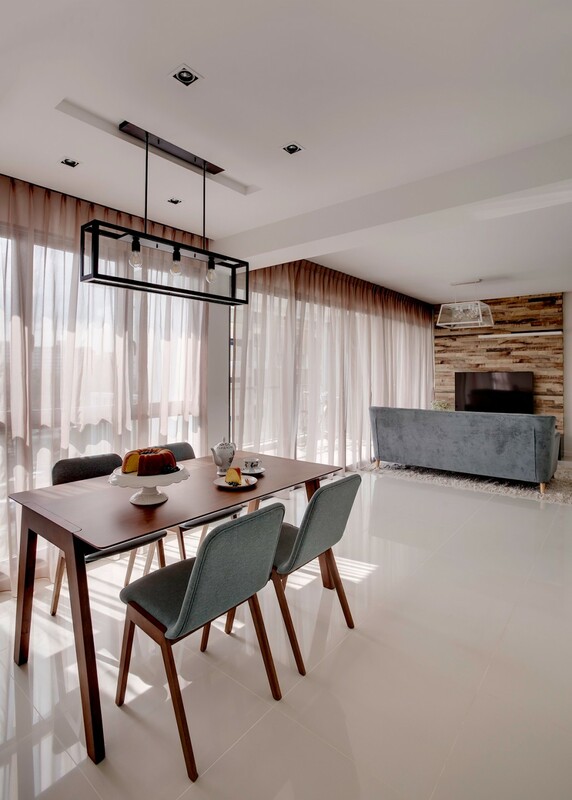 This distinguishing hallmark can be found in the form of a custom-made plywood bookshelf as well as various pieces of dark wood dining pieces. Meanwhile, the choice of colourful sofas and cushions adds a pop of excitement to the overall space. 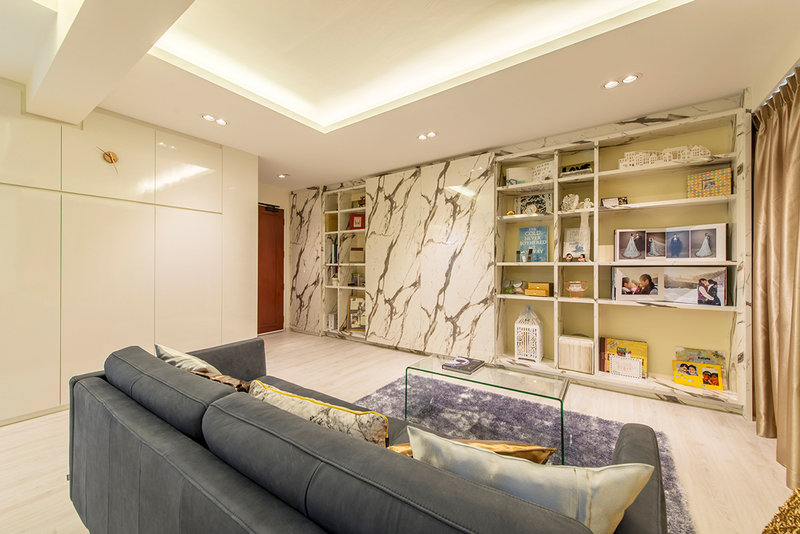 The defining feature of this 4-room BTO apartment is undoubtedly its full-height cabinets overlaid in glossy marble-effect laminates. Combined with a collection of travel memorabilia and decorative ornaments, the entire structure makes for a unique statement piece in the living room. An interesting interplay of dark ligneous textures and white walls serves as a unique backdrop for a collection of sleek furniture in the living room of this 3-bedroom DBSS unit. The same can be said for white brick tiles that bring out a fresh Scandinavian charm when paired with an abundance of wooden surfaces found throughout the apartment. 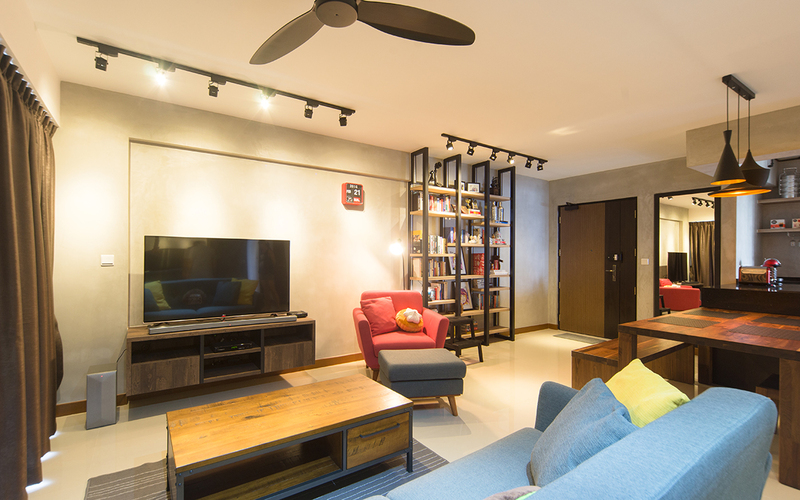 Space is no issue in this 5-room HDB flat with its customised living room. At the request of the homeowners, the wall to a bedroom entrance was demolished and a partition wall was erected in place to create an independent workspace. Additionally, track lights were chosen in favour of recessed LED lamps to ensure that both spaces are brightly lit, while drawing attention to individual parts of each zone.